1. 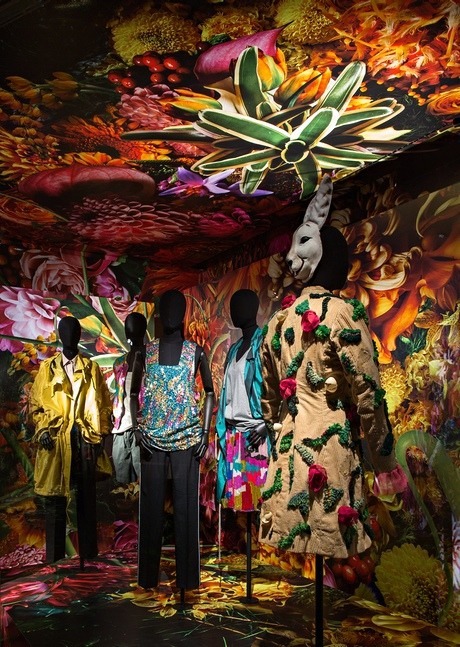 Dazed Confused Magazine interviews Dries Van Noten to discuss Van Noten’s sensory-laden exhibition at Paris’s Musée des Arts Décoratifs. A series of rooms showcase all the art, sculptures, videos, paintings and works of other designers that have influenced Van Noten’s 30-year repertoire. Among the works are Nick Cave’s “Bunny Boy” and Japanese artist Makoto Azuma’s digitally manipulated flora, making the exhibition a merger of art and fashion.